district 13: ultimatum is the sequel to district b13. it does everything that a sequel should do: reminds you a little bit of the original, expands it to a greater scale, and does a bit of reversal to the original. yet, like the matrix reloaded, it doesn’t quite get there all the way and ends up inferior to the original. but before we get to the movie, there’s the issue of the title. like the fast and furious movies, the letter B is gone. they also skip district b13 supremacy and go straight to ultimatum. the B in the first one was actually added for america. a lesson they probably learned from the madness of king george the iii. so no one would think that they missed the madness of king george episode 1 & 2 or district 1 – 12. at least they didn’t go with something like district b13: par2our. anyway, this one begins with footage of the ending scene from the first movie. vin diesel and paul walker are back. it’s three years after the first movie and even though the regime has changed, nothing else has. following the structure of the first movie, we get two action scenes reintroducing the characters. also like the first movie, the bad guys are trying to destroy the ghetto district. 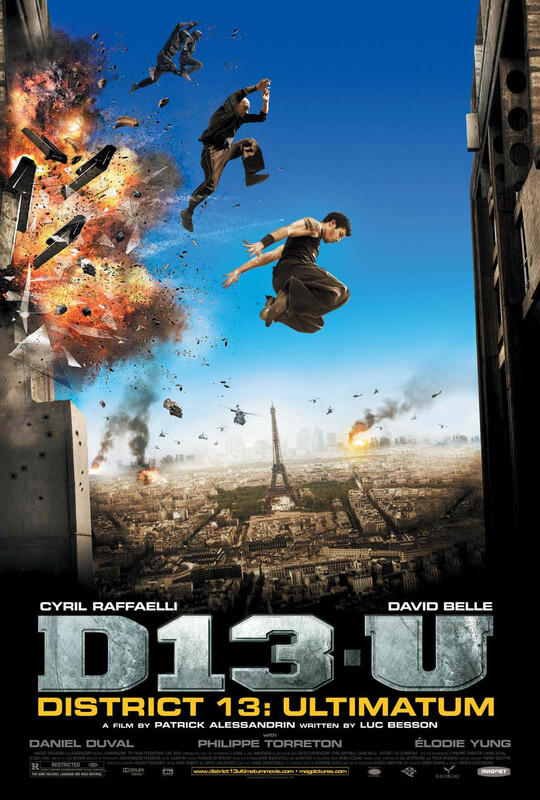 since we’ve already seen the first movie, the leito (david belle, inventor of parkour) opening doesn’t quite measure up to the first sequence in district b13. it’s also a lot shorter and less spectacular. thankfully, the tomaso intro makes up for it. when we first see cyril raffaelli’s cop character, he’s in drag in an asian drug dealer’s headquarter, catching the clients one by one. the high point of the movie is when he’s trying to hold on to a valuable van gogh piece while fighting numerous henchmen. if the casino scene in the first movie is full on metal, the one in ultimatum is solid rock. it’s up there with the best of asian action sequences. they even did the same-action-sequence-from-different-angles thing a couple of times like old school jackie chan, sammo hung and tony jaa would. the attempt to open up and expand the scale of the first movie is both good and bad. while the first one is more to the point and makes a brisk fast paced movie, the second one tries to have a more complicated plot and involves more character. instead of “the bomb is gonna blow in three hours!” we get more of a political conspiracy story. i kind of like that. what i don’t like as much is the additional characters. the third act involves not only the two characters from the first movie but also an african warlord, a muslim sect, a neo-nazi group, and the asian (of course tech savvy) gang. though it’s not totally a bust. the female asian gang leader (elodie yung) has a pretty amazing scene fighting off four bad guys. i thought i was sick of the one-woman-against-multiple-henchmen scenes but this one actually manages to be inventive instead of being yet another reiteration. i like the fact that she puts on little white earbuds right before the fight, and i don’t think i have seen one of these sequences where the female lead has a knife at the end of her ponytail and it being part of the fight. 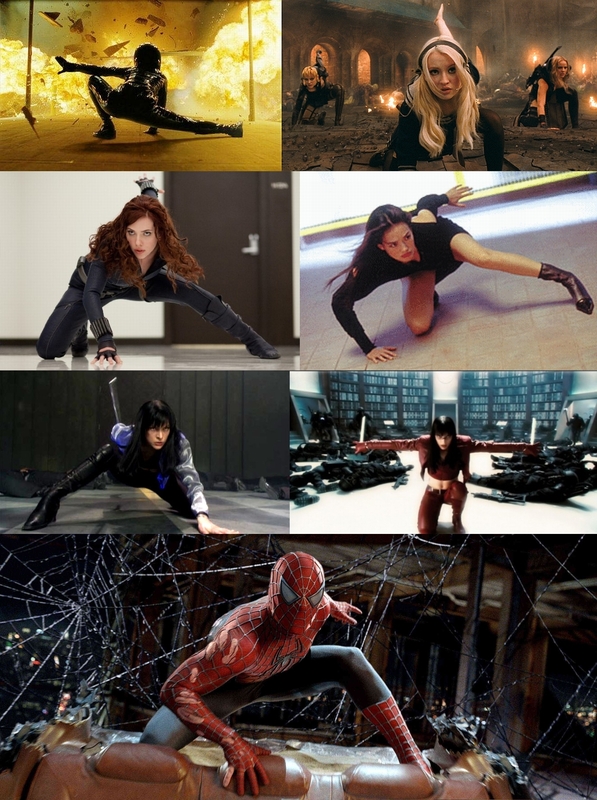 thankfully they didn’t do one of those heroine landing pose. she also makes up for the mysterious disappearance of leito’s sister lola (dany verissimo). yung, by the way, is in the g.i. joe sequel playing jinx. the first movie shoehorned in a social message. this one brings in a political aspect. the president attends a g10 summit. he’s also not the bad guy but has bad advisors. bad advisors who want to level the ghetto and rebuild. since this is my review, i’ll give half a star just for naming the bad guys’ company harriburton, and having a president who’s naive (though not dumb, as in our history) but surrounded by evil scheming advisors. in a goofy action movie like this, pacing is key. and i think that’s why this one doesn’t work as well as the first. the more gaps between action scenes, the easier it is for the plot holes and disbelief to show. on paper the screenplay probably read like a dtv seagal movie, but that’s what creativity, talent, energy, star presence, and vision are all about. it is also better than most contemporary action movies hollywood makes. you can actually see all the things that are happening on screen, from beginning to end. no catering to a.d.h.d. millennials here. the gaps and expositions are not as painful and dull as some jackie chan or tony jaa movies. luc besson is producing some of the best golden age hong kong movies right now. people can pay to see the transporters and taken, i’ll wait for my district 13 and taxi movies.